When a writer is weighing up the pros and cons of becoming an independent author, their first question is almost always how much does it cost to publish a book? And so it should be: projecting and managing costs is an integral part of starting any business — which is exactly what you’ll be doing when you enter the exciting world of indie publishing. For this brand new post, we’ve crunched over 10,000 quotes sent by professional editors and designers on Reedsy. By analyzing them, we are able to identify how much authors can expect to spend on self-publishing a professional-grade book. And with the help of some insider knowledge, you will also learn how to reduce the cost of publishing by almost 50% without sacrificing an ounce of quality. How much does it cost to hire an editor? How much does cover design cost? 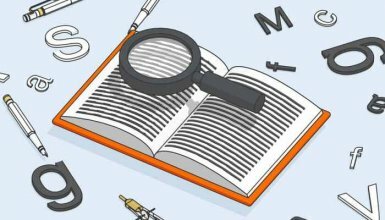 What is the cost of book formatting? These numbers are based on the median value of quotes offered on the Reedsy marketplace — which is comprised of freelance professionals with traditional publishing experience. For any project, the final cost will vary depending on the author’s level of experience, the book’s genre, and the length of the manuscript. Of course, with the availability of free writing, formatting, and design tools — and the ability to list books for sale with zero set-up cost — it’s possible to put an ebook up on Amazon without paying a penny. However, in order to compete in a competitive market, self-publishing authors need to ensure that their books can match the quality of what traditional presses put out. Find out the average cost of editing and proofreading a book. The single largest factor in determining the cost of editing is, without a doubt, word count. Freelance editors will try to figure out how much work they need to put into any job by glancing at the length of the manuscript — so don’t be surprised when a 150,000 tome costs twice as much to edit and proofread as an average 70,000 book. Nonfiction titles are often more specialized and can be up to 40% more expensive. If you're not sure exactly what each type of editor does, check out this short guide. 700+ of the best editors are on Reedsy. Sign up to meet them within seconds! Learn more about how Reedsy can help you craft a beautiful book. If you’re looking for ballpark figures on how much it might cost you to hire editors for your book, take a spin on this calculator which we’ve created off the back of the data extracted from Reedsy. Just choose your genre, enter your word count, and away you go. Use our data to calculate the average cost of editing services for your genre. You can search for professional editors over on the Reedsy marketplace. Successful self-publishing authors will happily tell you that professional editing is an indispensable part of their process. Not only can a second, experienced pair of eyes help you hone your craft and make your book better, it will also prevent typos and other errors from instantly shredding your credibility. With that in mind, you shouldn’t have to break the bank to get what you need. Remember that you are paying for an editor’s time. 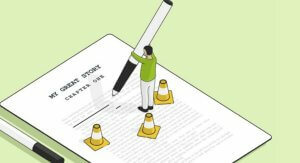 If you haven’t rewritten your manuscript as much as you can before working with a developmental editor, you’ll end up paying them to tell you things you already knew about the structure or pace. The same thing goes with copy editing. Their job should be to help you turn good writing into great writing — not to fix your basic grammar and spelling mistakes. From reading your sample chapter, the editor will assess how much work your manuscript will require. If your sample is in a good state, you can expect a lower quote. Similarly, many authors will send a manuscript off to an editor, knowing full well that certain chapters aren’t making the final cut. This is the equivalent of tossing money into an open fire. If you want to save money, get your word count under control first. Enter your email below and select 'Editing - How to Self-Edit Like a Pro' in the dropdown menu of the next popup. Make sure you fully research your editor before asking them for a quote. Look through their online profiles and portfolios to get a sense of their track record. If a literary fiction editor is asked to work on a detective novel, they might offer an inflated quote: they’re not dying to work on the project (or have the relevant experience), but if someone’s willing to pay them that much for it, why not? To keep your quotes low, look for editors with a history of working with books similar to yours. This is where a developmental editor reads your manuscript and gives you a detailed report of what works, what doesn’t, and what you can do to improve it. An editorial assessment checks a lot of the same boxes as a developmental edit but often at half the price — as the editor doesn’t go through the manuscript multiple times and they don’t actively work on the manuscript. Very often, authors will get an expensive developmental edit way too early, when what they really need is a bit more guidance with their rewrites. Now, you might be tempted to reduce your editing budget to the cost of a subscription for editing programs like Grammarly or ProWritingAid but few (if any) successful publishers would recommend this. While they've come a long way since the early days of spell-checkers, even their makers will admit that they're nowhere close to replacing the insight of an experienced editor. Whether it’s only an ebook cover. Let’s have a quick peek at how each of these elements might affect design costs. This is where the designer uses pre-existing images from libraries like Shutterstock to create a cover. This tends to be the most cost-efficient approach as the designer is not required to create too many elements from scratch. 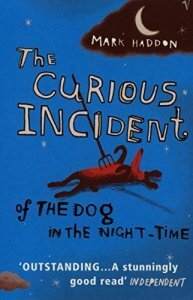 Illustrated covers are popular in a number of genres, as the aesthetic can vary between the simple and the incredibly ornate. This style of cover requires the designer to spend time crafting the design, or outsourcing some work to a specialist illustrator. As a result, this type of design is pricier than the stock photo approach. The only book covers that require new photos tend to be for memoirs — and celebrity memoirs at that. (If you’re not famous, having your face on the front cover will not shift units). However, if you do insist on arranging a professional photo shoot, you can expect your budget to balloon by another $1,000 at the least. Iterations, where a chosen concept will be tweaked with a range of options and reworked based on the author’s feedback. Allowing for more rounds of work will give you the freedom to experiment and tinker, but at a cost. Based on a Reedsy survey, over 60% of freelance designers standardly provide two to three rounds of refinements after a concept is chosen. Ebooks only require a front cover, which makes it nice and easy to keep costs down. If you’re thinking of selling soft or hardcover editions, you will also need ‘mechanical’ designs, which include a spine and back cover. The designer will have to make sure the final file is compatible with whatever printing company you’re using, which requires their experience and understanding of trims, bleeds, margins and spine widths. 64% of designers surveyed will charge 15-30% less for a cover design that’s ebook-only. Many self-publishing authors will attempt to design their own covers, as there is a widespread belief that professional design is expensive — which it can be. However, there are a few things that authors can do to minimize cost without sacrificing quality. The majority of books published by traditional publishers are created by manipulating stock images. And if you’re looking to keep your cover costs down, the first thing you should do is to avoid bespoke illustrations or photography. It’s as simple as that. One of the most inadvisable things you can do is hire a designer to execute a design that you already have in your head. Professional designers will know what trends are currently working in your genre and can help you create a cover that will sell but only if you let them show you their concepts. If you go down the other road and hire them to simply execute your vision, you will struggle to communicate precisely what you want more often than not. This can result in rounds and rounds of expensive revisions and you might still end up with a cover you’re disappointed with and one that won’t sell. If you’re looking to truly publish a professional-grade book, however, your design can’t just stop at the cover. In this next section, we’ll look at the cost of interior book design. 76% of self-published books cost under $1,000 to typeset. 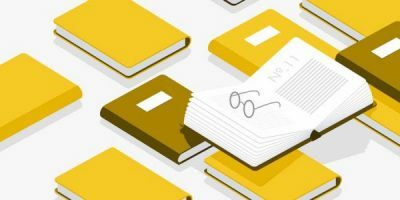 By ‘interior book design,’ we’re essentially talking about the same thing as ‘book formatting’ and ‘typesetting.’ These three terms are pretty much interchangeable: it’s the process of setting text onto a page. Back in ye olde days, this would involve bashing tiles onto metal plates which would then be put through a printing press. These days, it’s all done on a computer. But despite this convenience, interior design is a time-consuming task. Every page of a book is different, which is why typesetting is often more expensive than cover design. The more pages your book has, the longer the job will take. Freelancers will have a per-word baseline rate that they’ll use to generate their quotes. They might share this rate with you, but chances are, this is for their own use only. A novel, for example, is much simpler and quicker to format than a cookbook or a ‘how-to’ guide with tables, illustrations, and graphs. A ten-year veteran is more likely to charge more for a project than someone who’s relatively new to the profession. However, if they take an interest in your pitch and find your project interesting, they might give you a lower quote. So don’t immediately count out more experienced designers when you’re looking to save money. If there are only three formatting professionals in the world with a lot of experience in your type of book, you can bet that they will charge more. But on the other hand, they will know exactly what to do with your project, which can prevent a need for multiple revisions and give you a superior end-result. 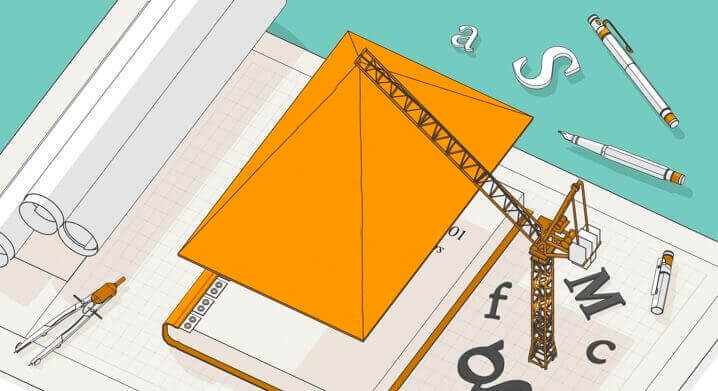 Beyond hiring a designer who is relatively new to the profession — and will, therefore, charge less — here are a couple ways to cut back on formatting costs. 3 tips for slashing your typesetting and interior design costs! You probably should have figured this out back at the editing stage, but by making sure your book is no longer than it needs to be — and doesn’t have diagrams or pictures that are unnecessary — you can mitigate costs at this stage. Many cover designers will also be interior designers. If you find a cover designer you love, and notice that they have typeset a number of books as well, you could talk about striking a package deal. In most other stages of book production, DIY is highly inadvisable. However, if you are publishing a book that’s mostly text-based (like a novel or memoir), there are some free tools you can use to typeset your own book. There is an open-source programme called LaTex, which is powerful but not user-friendly at all. Or, you can check out the Reedsy Book Editor, a one-click formatting tool that offers a number of themes and stylistic options. It also exports both ebook and print book files. Get access to all of Reedsy’s self-publishing data, presented in a single infographic. If you want to know more about the range of costs indie authors are facing, it’s all here in one place. For your book to thrive, and for you to succeed as an author, you need to learn from those with experience and work with people who can make your book the best it can be. It won’t be free, but no successful business has ever been built without some sort of investment. And that’s what it is: you’re investing in yourself and your career. But like any entrepreneur, you also have to be lean and not throw money at every problem. So figure out what you can do by yourself — and which tasks require the help of a professional. If you can work that out, you’ll be well on your way to creating an amazing book at a cost you can be happy with. If you have any questions or thoughts about the cost of publishing, drop them in the comments below. ← Young Adult vs. Middle Grade Fiction: Which Are You Writing? How to Self-Publish a Book. 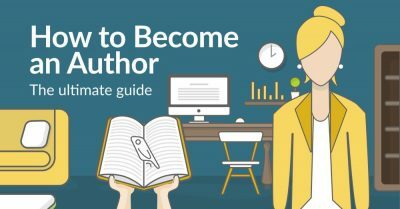 Ready to become the next big independent author? 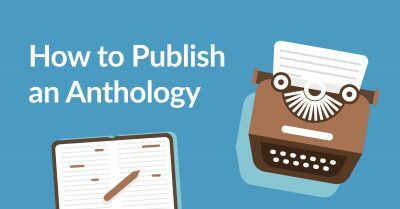 Find out what's involved in writing, publishing, and marketing a self-published book with this 10-part course. This is a terrific summary, based on professional service providers. It's a keeper! Wow! Sharing with all of the writer's groups I'm affiliated with. Gold! Your numbers don't run in line with my experience for editing, at all (yes, even with professional, Big-5 experienced freelance editors, though perhaps not the ones with Manhattan street addresses), and the average number you give for interior design is worthless (you average B&W novel design with color graphic novel design; these are services where the same designer might have a $10,000 difference!). Cover design seems right in terms of range, but the average feels overly weighted towards the more expensive outliers. I don't think you're trying to scam anyone with these numbers, but it doesn't feel like an accurate representation of the real costs of self-publishing. We have explained the limitations of the data we provide for interior design within the post, and provided a breakdown by ballpark ranges. In terms of editing, this is just raw data from 1,000+ quotes, and there wasn't as much disparity in the numbers as there was for, say, cover design. So these are pretty accurate. The editors are based both in the UK, US, and some in Australia and Canada. Only a few of them actually live in NYC or other places with high costs of living. For cover design, again, we have provided a breakdown by ranges so you can see where the majority of the quotes are. I suppose there might be a disparity related to genre (I write mostly in the sci-fifantasy genre), but your "1000+ quotes" are more than double (in some cases more than triple, when factoring for size) EVERY quote I've ever gotten for my books, except for one guy who lives in Manhattan and factors in the expense of being within easy commuting distance of several Big-5 offices (and his costs were still below your quotes). Most of the editors I've queried have Big-56 experience. And while not in the thousands, I've gotten quotes from dozens of editors. This article was posted on Facebook in a group I'm on with the question "do these numbers match your experience?" The answer is that, outside of the covers, they aren't even close. These numbers don't match my experiences at all either. Often I learn as much from the comments as I do from the articles. Thanks for taking the time to weigh in on this subject. Best of luck to you! I agree with you. Maybe take the number here and cut it in half. Were the quotes from editors who work for you? Does this cost include the 20% of the fee you take to match and editor and client? It includes half of it as the Reedsy fee is shared between the professional and the client. A large majority of those quotes convert into collaborations. As mentioned in the blog post, our objective was not to be representative of the self-publishing business as a whole, but of the cost of working with top professionals, the likes of Neil Gaiman's editor, Stephen King's designer, etc. who are the top talents available on Reedsy. It was Stephen King's designer who(m) I referenced earlier. (He's working on Joe Hill's book now). However, admittedly, old Stephen probably has more than just the World Famous Vincent Chong in his stable of designers for covers and, in Joe Hill's case, I heard through the grapevine, for interior art for "20th Century Ghosts." That is the scuttlebutt, anyway. May I also say that I agree with the person above who said the REAL money goes out for promotion and marketing!!! Yeah. All these numbers are high, and I've either hired out for these or done several of the jobs myself. I see where the numbers are coming from, but that only makes it harder for me to choose Reedsy when I can get the same quality from other places. Not accurate at all for the romance genre. I've had 2 different editors, neither charge over $500 for a 70k manuscript. Cover Design I do myself and I charge my clients only $100. I know other designers who charge in between $150-300, which is the norm with stockphotos. It's only 500-1000+ if the cover involves a custom cover shoot & exclusive photograph. I don't know anyone who would pay 800+ for the interior design, nor do I think it's ethical to ask that amount for such a service. $100-200 is more like it. Honestly, I'd say this entire article can be taken with a bucket of salt. Thanks Melinda, I just joined your Facebook group. Ridiculously overestimated. If any actual authors are paying this much for formatting, covers, even copy and developmental editing, they're fools. The proofreading numbers seem accurate. Editors charge on the basis of how long they think the job will take so the better your book when you give it to them, the less you should have to pay. So, if these prices look high, do plenty of work on your book before you hand it over to a professional editor. I don't believe these numbers -- they're way too high, absurdly so -- and I'm an experienced author from both sides, trad and indie. My earlier post suggesting as much was removed. Gee, I wonder why. Don't pretend this is an "informational" page if you won't allow any actual information in the comments. To everyone else: beware a sneaky sales pitch. Though it seems that this article has data behind it to back it up, the numbers are much higher than any I've encountered after self-publishing ten books. To be fair, for me, I outsource only what I need to - editing/proofing and cover design. I have learned how to properly format a quality looking interior for my prints. 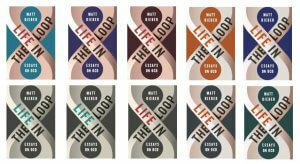 I do some design work as well, in fact my bestselling series has covers I did myself. For each book I produce, the total comes in far under the average stated in this article - in fact - I don't believe I've ever paid more than $750 for a new book. It's the advertising and marketing that tend to be my biggest expense during the year. Once a writer finds a quality editor (absolutely necessary but not as easy as one would think), a quality cover designer (if they don't have the tools or the time to do this on their own) and either learns how to format on their own (truly not as hard to do as most think - I learned, and that's saying something lol) finding an affordable and reliable way to produce a book is totally possible. It's very possible to release a quality book for under $1000, in fact, over that and I question the validity of those providing the services. It's important for each self-published writer to do their homework and find the right editor/formatter/designer, etc... for them, but I wouldn't pay the average for this 'study' because it's unrealistic, and within my group of successful self-published authors, some of who make 5-6 figures (a month), I know many of them would fall under the average listed above as well. There will definitely be a large range in this industry for financial investment required to publish a book, however, this article would scare me if I was just starting out. lol Hopefully, it helps people do their homework and find the right fits for what they need. Part of self-publishing is being our biggest advocate/personal cheerleader and our boss/supervisor - but just as one would research details for their story, one should fully research and fact check the financial investment required. That sounds just about right to me. Thanks for giving some confirmation, TMD. I LOVE what Vellum does - alas I don't have a MAC. lol But I did have an author friend run a file of mine through Vellum. It's a wonderful and affordable investment for interior ebook formatting, for sure. Did you know that Reedsy offers that service for free? 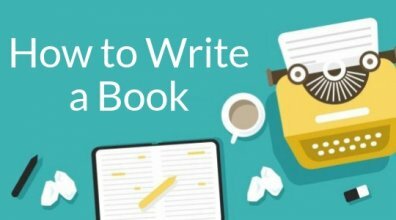 https://reedsy.com/write-a-book. The Reedsy Book Editor creates beautifully typeset ebooks and PDFs ready for distribution, for free. I didn't know that. What a great idea! Thanks. I'm about ready to buy a Mac, so thanks for the tip. There are different ways to "self-publish", and you should certainly research them and pursue the one that seems right to you. What this article and infographic detail are the average prices and ballpark ranges that top professionals in the fields of book editing, design, and typesetting charge. It's raw, unmodified data from over 2,000 quotes from around 400 different individual professionals. So it's as accurate as it gets. So, yes, you can find cheaper out there. Much cheaper. But as with anything out there, you get what you pay for. Just think about it from an editor's perspective. Properly copy-editing an 80k-word novel takes around 40 hours. If you charge $300 for that, you're charging $7.5./hour. You can see there is something wrong there… The editor is obviously going to spend much less time, and therefore do less thorough a job. What we're saying is: if you want a fully professional product that respects the standards of traditional publishing, these are the average prices of the different services. Now, if you don't have that budget, or if you simply don't want to pay that, you can obviously cut corners at pretty much any stage. There is no right or wrong answer here, cutting corners is a decision that, we believe, pertains to every author – and it't not necessarily a bad thing. The reason we're open-sourcing this data is to help authors make that decision consciously. Definitely different ways. I felt compelled to leave an honest reply to this article because the numbers seemed very high when compared to what I have spent, and what most of my established author friends spend. I think it might scare an author away from self-publishing, if they were to look at the numbers above and think that is the dollar amount that they would need to shell out of their pocket. That's not true in each case. I know authors who spend next to nothing releasing a book, because they have a graphic designer husband and they themselves are an editor or something along those lines. That would be the lowest part of the scale, and this article seems to be the highest. Again, this is what I've personally seen and heard of. Every author will spend a different amount because each of us outsource differently, if at all. Hello. My name is Eric Yep, and I just had a question....what if the dialog in the story is deliberately a skew. Such as a slang or 1850's cowboy? Example: Gettin along in the day, canteens near empty. Been ridin a couple hours now. Don't really wanna push a friend more than he's been already. Gotta try and find a stream or a creek and get a drink, proper. Maybe post up camp. Know we both could use a good nights rest too. Feel parched, yet all thirst is evaporated by the bright pink silhouetted wispy clouds in front of a plum blue canvas. Glancin behind a fiery orange sun blinds as it illuminates the tall dry grasses. It looks like an ocean of gold that rises and sinks with help from a westward wind. email me please at theonlydedmonkey@yahoo.com if you have the time. Thanks for your time. Once again, I agree with TMD. The Reedsy brand may be the Cadillac, while most of us would be just as happy in a Buick or a Chevrolet or a Toyota. Both of them will run and run well, but one will cost a lot more. Not a good analogy. You can be 100% satisfied with whatever car you choose, driving around in a total junker if you want. The difference with a book is that you're creating something to *sell* — and the audience is most definitely going to judge your book by its design and editorial. I must disagree with your graphic, both in how necessary some of the services you mention are, as well as the price the services you mention which ARE necessary will actually cost if a person takes a minute to look around. I have to date published 23 books on the KDP/Createspace platforms and earn a solid 6 figures from the royalties. They are all 20-30k word serial short stories, I don't expect to be nominated for the Pulitzer. $ 35 - Cover Art (both print ready and digital) with source files so I can make modifications, and upload ready files for KDP and Createspace. $ 15 - Formatting manuscript for print/digital. Upload ready files returned to me. That's a total of $550 for each book to be written and launched. Of course I'll spend more on advertising and promotion after the initial launch as long as it is a good ROI, but that's after the book is proven to be a winner. I allocate $600 per book when I'm doing mental math and planning the monthly publishing schedule. Also to be fair, that number is lower now than it is when I'm launching a new unknown pen name into a new genre. This is due to the fact that I have to start mostly from scratch to build up my promotional channels ahead of time. This requires a higher initial investment in advertising. If I'm launching into a new market with no fan base or contact list built up I usually plan on around 1k per book, including a much greater advertising budget designed to prime my advertising channels with fans of that particular genre well ahead of launching my new books. Many of the services you quote here are, to me, unnecessary. Interior Design, Editorial Assessment... I've never paid for any of those before and I D.G.A.F. about "respecting the standards of traditional publishing" because I'm NOT traditionally publishing. Traditional publishing didn't want anything to do with me before I was successful, now that I've figured out how to do it on my own and I don't need their help, why should I care about respecting their stodgy old standards? The only thing I care about is whether or not the people who buy my books enjoy them, are happy with their purchases, and come back for more. I don't get many complaints and a great deal of my readers are repeat customers, so I must be doing okay in that regard. explanation of why you are wrong. The fact is you pay whatever price you can negotiate to pay, which another person will agree to accept, for a particular good or service. It's nice of you to share some of your back end data and I can see how you'd have a vested interest in presenting it in a way that makes the ultra high fees you quote here for a "Professional product" seem like the norm. After all, you do provide those same services and charge those high prices for them, it would be stupid of you to tell people that they don't really need half of what you're quoting and they could get the parts they do need at around a third to half the prices you charge. I don't fault you for that. Everybody looks out for their self interest first and it's the consumer's responsibility to protect themself. 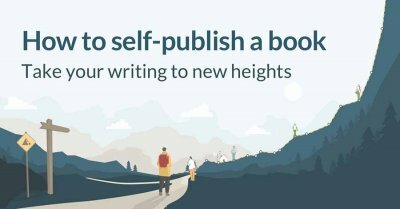 The problem I have with this article is that it gives a false impression of a high barrier to entry in the self publishing world which will end up discouraging people from getting started who may otherwise have been successful if they'd just gone ahead and did it. I think too many people are hung up on doing it the "traditional way" things have been done. But let me ask you this... What has the "traditional way" done for you lately? We are all here discussing SELF publishing after all. I presume it's because the majority of the people here haven't had any success doing things traditionally. Anyway, thanks again for sharing your data and giving us a chance to compare notes. Great to save the money, if you have the skills. The number of books I read (at least 12 per month) with serious typos, grammatical errors and awkward construction points to the unrecognized need many authors have for a few extra hands and an extra set of eyes. It's interesting that proofing skills rank lowest in author investment. Poor proofing is probably the biggest factor in perpetuating the stigma of self-publishing as inferior. I agree with this, as well, from TMD (Judith Gotwald). Thank you, I have published 16 poetry books ...I do part of the formatting and cover design...only I pay for publishing ...Xlibris Are never bad ...12 of my books i have published with them, but the very small amount to when they sell the book ...one $ only ...!!! I agree with TMD and have been publishing since 1989 and self-publishing since 2003, with 30 titles, to date. None has cost as much as this "average" price. I agree with you. If you shop around OUTSIDE Reedsy, you can find significantly lower prices and still expect quality services. This comes over as a little to self-promoting for my taste. The main problem is that many authors *think* they're getting quality services when in reality they end up with a poor cover, or with an editor who doesn't have the necessary experience. I don't know how many times I've had to say "sorry, but this cover just doesn't look professional" to authors who had hired a designer on Fiverr or similar places. And re editing, it's just a question of thinking about time. If an editor charges you $300 to edit your novel (whether that's developmental editing or copy editing), what does that mean? It means that for a job that takes at least 15-30 hours, they're charging $10-$20 per hour. Do you know a lot of professionals (in any profession, really), who charge that per hour? Now, I'm not saying you won't be able to sell your book after that. You can barter for services, use a lot of beta readers, etc. to improve the editing. In some genres, readers are also naturally more forgiving than others. But in this article we chose to talk about what it costs to hire *professional* service providers, and open-sourced our data to answer that question. Fantastic information! I've been lucky, in so far as I have great friendships with talented designers, developmental editors/copyeditors, and a whole raft of beta-readers who are more than happy to point out typos and continuity errors, etc., usually with payment in the form of babysitting (great for writers, when baby is sleeping most of the time! ), catsitting, dog-walking. For any self-publishing authors who can't afford the $3,300 average cost for editing/design, I'd recommend looking at the skills you have to offer your community and leveraging those. I find it really interesting to see the different ways in which people value certain things. Just having a couple of hours to oneself as a newish parent can be worth so much! And, as writers, we have a lot of flexibility in terms of time, and can put that to good use by helping friends with things like moving house, picking up kids from school, waiting to sign for parcels or let in/supervise service personnel, and all manner of other things that are tricky when your job requires you to be at your desk in an office or otherwise away from home. Thanks for sharing it, Dennis, and glad you liked it! Most professional editors won't quote on a manuscript purely on word or page count as they have no way of knowing how well (or poorly) written it is, or even what level of editing it requires - they certainly can't take the writer's word for it. You will be asked to provide the manuscript or at least an extract of it so they can do a sample edit or assessment and work out a price. The sample edit gives the writer an opportunity to see how the editor works and the communications between you will tell you whether this editor is right for you. That is correct. At The Copyeditor's Desk, for example, we charge a per-word rate, but it's based on the difficulty of the copy. Yep, this is how it works on Reedsy as well. Authors always provide their manuscript, or an extract of it, when asking quotes from editors. Editors are then at liberty to offer a sample edit or not, but always quote on the project based on what the book needs. This is great information. When it comes to self-publishing costs it's important to remember that quality does matter. If you get a cheap quote for editing or design, it's not the help you want. Freelance editors tend to be reviewed by the folks they've worked for - it's easy to find highly competent, well-reviewed freelancers without the need to go through an agent. Going direct to get the service you need tends to recuse the cost as there's no-one taking their 'cut'. You can find high-quality designers, editors etc. Collaborating with editors who have worked for bestselling authors, is pretty affordable. Thanks, Reedsy. Sharing on the publishing page. Looks like some of the links are having problems. Except, of course, these are prices based on Reedsy's service providers, and as stated elsewhere, part of that jobs board--whether or not Reedsy considers itself a jobs board--reverse leapfrog mambo, where freelancers essentially see who can underbid the most to win a project. The figures quoted I am sure are quite accurate. In Reedsy's experience. But skilled, experience professionals not only know how to find work without resorting to the mambo I spoke of, we also don't accept and could never afford to accept a diet of such prices (whether editors, proofreaders, cover designers, or interior designers). The exceptions, of course, are pro bono work and what I call "pay-it-forward" projects. I do a certain number of the latter each year, both because my book design practice has been good to me over 26 years and about a hundred books, and because there are some books I want to make sure get off the ground. (One such project has grown into an affiliation with a young author's own imprint--with her parents'assistance--that I've signed onto, because she's a kid with lots of good things to say and the discipline to write well.) But aside from such exceptions: beware; you do tend to get what you pay for. When you choose to self-publish, you've gone into business as a self-publisher. It's not for the faint of heart and folks who aren't willing to put their money where their mouth is. And parasitical jobs boards who make money no matter what, once you use their connecting-with-freelancers services, don't have skin in the game the way professional editors, illustrators, book designers, and proofreaders who earn a living by such work do. That all said, I understand when self-publishing authors are trying to get their books out on a shoestring. I can sympathize with them for having only the wherewithal to go this route and I wish them well going forward, as I want to see the ranks of the self-published grow, as it's pretty much the only way forward for first-time authors and those without followings. Or you can take a shot at finding pros like myself who do the occasional pro bono or "pay-it-forward" project. Whatever way, keep the faith! Hey Stephen, thanks for getting in touch here. I hope we can address a few of your concerns regarding Reedsy and the professionals on our marketplace. Firstly, Reedsy isn't a jobs board at all. It's a marketplace more akin to Airbnb (or perhaps even Match.com, some have said). Authors and publishers will search for freelancers based on their experience, portfolio, and aptitude with the genres they're working in. Jobs aren't, in any way, listed publicly on the site. Authors contact their shortlisted freelancers directly through our request system and invite offers on the project. Reedsy has no hand in setting the rates: those are controlled exclusively by the freelancers themselves. Secondly, your concern of "reverse leapfrogging" is also completely unfounded. When our freelancers make an offer on a project, they cannot see what other editors or designers have bid on the project — they cannot strategically underbid. As a nefarious parasitic organization that works on commission, it's not in our interest to encourage a bidding war to the bottom. Lastly, the suggestion that freelancers on Reedsy are anything but skilled and experienced professionals is inaccurate and very unkind to your peers. Most freelancers on our marketplace will have worked for a major publisher and — we can comfortably say — are among the best in the world at what they do. We offer authors the chance to collaborate with professionals who have worked at the very highest levels of publishing, giving them the best chance to improve their craft and create better books. Many of our freelancers will bend over backwards to make their services affordable to first-time authors (as you do with your pro bono work) and often find the experience of working with indie authors to be a creatively fulfilling one — which, really, is what brought many of them to freelancing in the first place. I hope my reply hasn't come across as snarky, but I do feel like we've been entirely mischaracterized in your comment above (as well as in your comments across numerous other comments boards). If you have any questions or reservations about Reedsy that you want to express, please do contact me at martin@reedsy.com — I'll be happy to help in any way I can. Wow, these numbers are REALLY high! I get excellent, professional high-quality interior design and book covers for way less than that. People make comments about how good my covers and interior design are, and I pay $300 USD or less each. I think these numbers would discourage many people from self-publishing. Well, that's not quite what I meant. I've also seen much higher prices than these. People should just shop around and decide what they want and how much they can afford. And Reedsy is an excellent resource for authors, with great articles on all kinds of subjects. I've gained a lot of valuable information here. The cost estimates here are far higher than I've experienced - a resourceful self-published author can outsource many of the services listed here more cost-effectively. It's undoubtedly true that the services here can be obtained at a lower cost — the figures we've collected here are based on what the professionals at Reedsy have quoted to authors. I don't know the background of the freelancers you've had experience with, but the cast majority of professionals on our marketplace have years of experience with large publishing companies (and continue to work with them). Accordingly, we would expect the averages to be on the higher end of the spectrum. I don't doubt that the folks you have on your marketplace are among the best. But we can easily find freelancers that have and do work for the Big Five publishing houses and go to them direct. I'm just saying it's not difficult to go direct to freelancers and save money. Sadly, for service providers nearly all categories are showing lower prices than the last survey. I guess that's great if you're an author. Not so much if you're trying to make a living as a designer or editor. But hey, you're getting some great work super cheap, yay you. Inequality just gets worse and worse, and the gig economy is accelerating the pain. This type of economy we're living in is bad news on the short or long term. Thanks for your comment. May I ask which survey you're referring to? As indicated in the post, these *average prices* all come from an analysis of over 2,000 quotes from some of the most experienced book editors and designers in the industry. Prices are not forced down since Reedsy is not a bidding marketplace. We're actually offering a new model for freelance editors, to avoid the "gig economy" effect you're mentioning. I saved the one you did from April 2016. By contrast, average cover design was $700 on 2016, and above is listed as $650. Average interiors listed at $850 in 2016, today: $830. Average cost of combo: $1250 vs $1100 today. Editing similarly takes a hit. While Reedsy may not explicitly create a bidding competition, essentially that's exactly what happens. There's no doubt in my mind that the ease with which authors may indeed pick the lowest bidder of their choice, this does in fact have the effect of freelancers underbidding to get the work, because bills need paying. I'm not blaming Reedsy. You do have very, very talented people. It's also true that publishers have let go their professional staff, most of whom are freelancing and struggling to get by. And yet just below my comment, "Steve" complains that your prices are "far higher" than what he pays. (Reading other commentors, it gets worse.) My complaint has more to do with the attitude that freelancers must take whatever is offered and often this leads to true starvation wages. And yet many (particularly new) authors see nothing at all wrong with that. It's rather depressing from this freelancer's point of view. So again, I am not faulting Reedsy, you did your data gathering and this is what's happening. It's pervasive everywhere. Got it. Our research actually shows that authors don't tend to accept the lowest offer. In general, they'll go for one in the middle (neither highest nor lowest). In any case, we have been encouraging many of our freelancers to bring their prices up when we noticed they were under the market rates. Re the dip in cover and interior design you noticed, it's mainly because back in 2016 we had a couple of designers who charged $2k+ for covers and more for interiors who got a few jobs and skewed the averages up. As you well mention, many publishers have let go of their editorial staff, but what we're seeing is that this staff is actually doing much better freelancing than they ever were at the publishing company. We work with some of the biggest publishers as well, and I can tell you that what they pay freelancers is well, well below the averages in this post. Did they pay you by the word? It;s a lot to get some basic info.